Research shows, for food manufacturers wanting to appeal to 20-somethings, it's no longer about inventing the next big meal, but about concocting the next big snack. Every company that makes or serves food in America has had to digest the same reality: We've become a nation of really weird eaters. We eat what we want, when we want. No more of this breakfast, lunch and dinner stuff. We snack all day. We casually skip meals. And we want to customize everything we cram into our mouths, reports USA Today. It's as if our social-media habits are going right to our stomachs. A culture hungry to put its personal stamp on everything it touches is most apparent with Millennials. "Eating weird is the new normal," says Shawn LaPean, executive director of Cal Dining at the University of California- Berkeley, which serves students 30,000 times daily. "If students eat any square meals per day, it might be one. The rest is filled with snacks and food on the go." At least 35 percent of meals eaten by Millennials aren't meals at all, but snacks, reports consultancy The Kruse Co. "Desserts are now eaten any time, sometimes even before breakfast, lunch and dinner are increasingly combined into 'linner,' and many consumers insist on breakfast for dinner, forcing restaurants to keep the breakfast grills fired all day to serve 'brinner,' explains President Nancy Kruse, who consults for food companies on our topsy-turvy eating habits. Four in 10 Millennials snack more than once daily, reports research firm Technomic, and only 5 percent of all consumers eat three square meals a day. "The idea of a normal day being breakfast, lunch and dinner is a myth," says President Ron Paul. "Perhaps that's why 20 percent of the cookies and apple pies sold by McDonald's are at breakfast -- and why one of its biggest 'limited time' product roll-outs in 2012 won't be a burger, but McBites, a popcorn-size chicken snack." he says. "It's why Dunkin' Donuts sells gobs of Chicken Salad sandwiches at 9 a.m. And why half the products Denny's sells are breakfast items. It's why Kellogg has marketed Special K Chocolatey Delight and Rice Krispies as after-dinner snacks. And, it's why 20 percent of the folks who buy Stonyfield yogurt eat it instead of dinner." 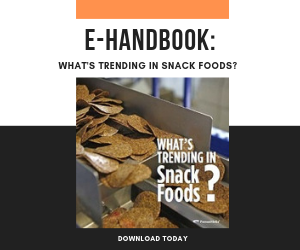 This eat-what-I-want-when-I-want trend is changing some of the biggest names in food -- from McDonald's to Kraft to Kellogg to Dunkin' Brands. Most have turned their new product labs and test kitchens on their heads. It's no longer about inventing the next big meal, but about concocting the next big snack.